While the end of the two-year-long works to the Porte de Hal tunnel mean that traffic should flow more smoothly, don’t try to drive through on Saturday night. 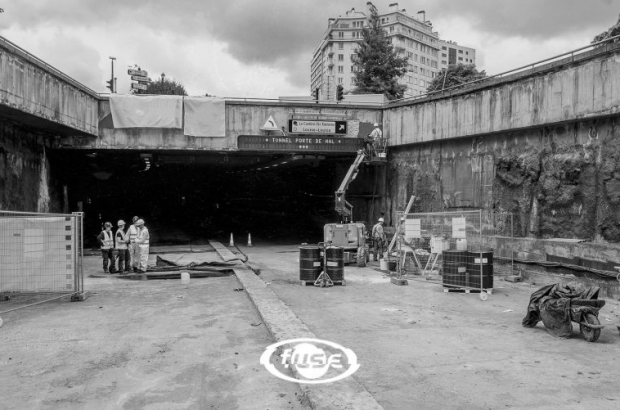 Fuse nightclub will be hosting a rave in the tunnel to celebrate the end of the renovation. Mobility minister Pascal Smet himself asked the club to stage an all-nighter in the tunnel, which runs under the famed Porte de Hal between Rue Blaes and Rue de l’Hotel des Monnaies. Completed works include a concrete divider between lanes, additional emergency exits and an improved ventilation system. Entry to the rave, which runs from 23.00 on 19 January until 6.00 the next morning, is on the Blaes end of the tunnel. Entry is a democratic €5. Keeping things lively are DJs A Brehme, Kafim, Pattrn and Pierre. Fuse asks that no flashes from cameras be used in order to ‘respect the vibe’. According to Smet, 2,000 people can fit in the tunnel. Whether he will be one of them is anyone’s guess.